This summer make sure you Discover the District Docklands. 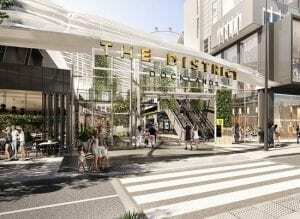 It is in the heart of the Docklands and is primed to become one of Melbourne’s leading lifestyle destinations. There is so much to do for people of all ages. Visitors can shop at any of the Australian and International brands. Eating at one of the many restaurants or riding the iconic Melbourne Star for a bird’s eye view of Melbourne. There are activities for people of all ages. Explore a wide range of different and unique experiences including The Blender Studios, ArtVo, Dialogue in the Dark, Chipmunks Play Centre and The Lost Forests. Over the coming months, The District Docklands looks forward to opening the new state-of-the-art entertainment precinct with HOYTS, alongside the vibrant dining and diverse fresh food offering. 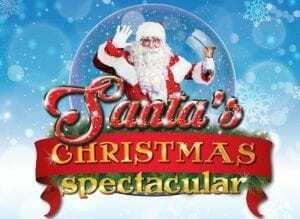 Audiences of all ages will be all smiles and feeling the magic of the festive season this year at Santa’s Christmas Spectacular LIVE at the beautiful new Empire Theatre in the Docklands. Santa’s magical workshop comes to life in a fun-filled circus adventure for the whole family, with a special visit by the man in red! The District Docklands have partnered with The Rose Street Market, to bring you a fresh line up of stalls this December! Each Sunday, enjoy a creative and colourful market that showcases a variety of art, jewellery, homewares and gifts which are sure to be a welcomed addition to anybodies stocking. As the market is fully under cover, the markets will be held each Sunday between 11am to 4pm on Wharf Street (Arts Collective Precinct). Holiday Inn Melbourne on Flinders is only a 13 minute tram ride from The District Docklands. As we are in the FREE Tram Zone, it is free to get to The District Docklands. At Holiday Inn Melbourne on Flinders Kids 12 and under Stay and Eat Free all year round! Discover our accommodation promotions.